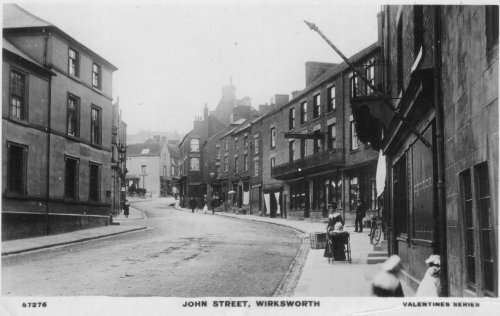 Posted 1906 by "E.N., 2 North St, Wirksworth"
Wirksworth's central Street, looking towards the Market Place. 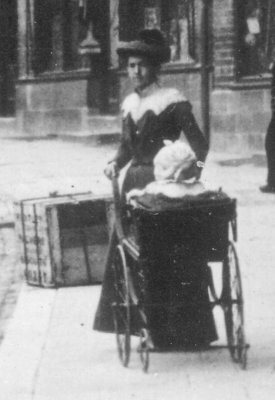 This photo was taken about 1905, the building on the right with the barber's pole was Number 25, the home of Fred Brailsford from Alfreton, "hairdresser and umbrella maker". Tony Holmes says "This shop had a barber's business for over ninety years." 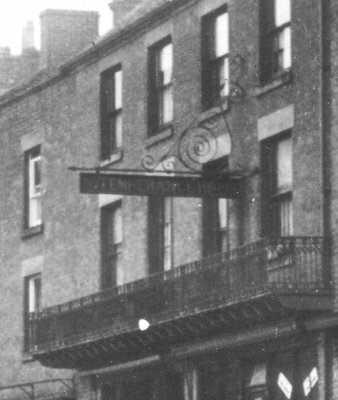 Brailsford moved there shortly before 1881, was there in 1891, but in 1901 had moved to North Street, leaving his big barber's pole behind! This postcard is a 'Real Photo' and has more detail than expected. 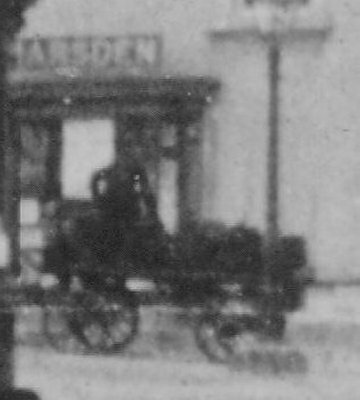 Enlargement reveals a Victorian cart, a Temperance Hotel sign with a curly wrought iron support, and a Victorian pram with wheels like a 'penny-farthing' bicycle. 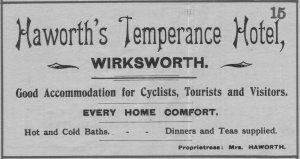 Temperance Hotel, 11 St John St, Wirksworth.